For consumers feeling jaded after Christmas, the good news is, soon it’ll be time to celebrate Chinese New Year, on Tuesday 5th February. Following on from the Year of the Rooster and the Year of the Dog, this is the Year of the Pig. Wing Yip’s range of Oriental ingredients can be used to add authentic flavour to popular dishes. For example, adding a spoonful of Massaman curry paste can give a dish a Thai taste or hot pepper paste can add a Korean kick to a stir-fry, while mushroom sauce makes a great addition to any dish and is a great vegetarian alternative to Oyster sauce. 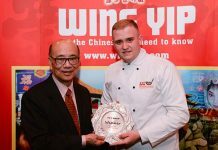 With stores in Birmingham, Cricklewood, Croydon and Manchester, Wing Yip provides more than 4,500 ingredients that operators can rely on when creating an Oriental menu. 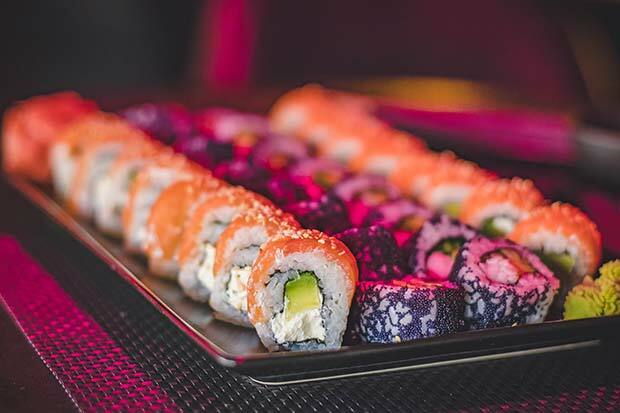 From the mainstream rice and noodles, to the more specialist ingredients such as Oriental vegetables, fresh fish including shellfish, and authentic pastes and oils, Wing Yip provides easy access to Oriental ingredients for traditional or more experimental Far Eastern dishes. For those looking for a quick serve option, a wide variety of stir-in sauces provide an authentic taste with minimum ingredients, while the Fried Rice Seasoning creates delicious Chinese rice in minutes. Old El Paso is still growing at an impressive +1.7% annually. The brand’s recent Day of the Dead campaign also capitalised on a well-known Mexican occasion turned popular trend, and has seen great success across the U.K. The through-the-line campaign included a ‘Win a Trip to Mexico’ on-pack competition supported by social media, PR and limited-edition packaging. “As well as developing products in accordance with the latest trends, Old El Paso makes sure to cater to as many people as possible. Our Gluten Free Fajita kit has seen great success, and we’re currently working on extending the range. “We take great care in developing products that are authentic, in partnership with chefs and producers who have an intricate understanding of the traditions and history of specific dishes and recipes. This is vital, especially as we have been serving core ethnic communities for more than twenty one years and know that they value authenticity and cultural traditions. Whilst there is a lot of scope to innovate in this space, getting it right is critical to maintaining brand loyalty and reaching out to new consumers,” Having started as a small business, bringing niche and specialist ingredients like Ackee, Callaloo and Gari to the UK’s African and Caribbean consumers, the Tropical Sun brand has grown its range and its audience to include products from all over the world including Asia and South America. Today, Tropical Sun has a wide range of high quality products from all over the world, covering several categories including drinks, snacks, sauces, rice, seasonings and specialist ingredients. It has won 16 Great Taste Awards, has continued to deliver consistent year-onyear growth and the brand’s logo has come to symbolise quality and give shoppers assurance. Critical to this engagement has been the brand’s website, which has been revamped and relaunched. It is now easier to navigate, has the brand’s full range, features product usage information alongside great international recipe ideas. The brand has also leveraged social media to engage with customers, especially responding to queries and making their products and the category less scary for those new to the category. Tropical Sun is increasing on-ground engagement, with sampling planned at events throughout the year including instore, at community events and at the prestigious BBC Good Food Show. The brand has also recently launched a raft of new products. This includes the recent expansion of its best-selling coconut range, which takes in Organic Coconut Flour, Organic Coconut Milk, Coconut Vinegar and Coconut Treacle. Additionally, Tropical Sun has added three South Asian flavoured teas to its herbal range, Neem, Turmeric and Tulsi. 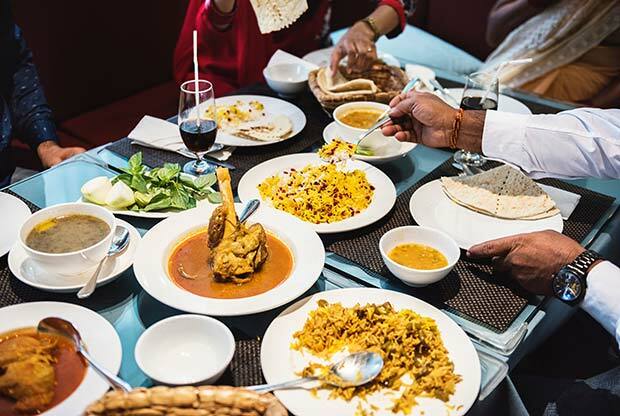 Catering to ethnic shoppers and world cuisine fans has never been bigger business, says Julian Davis, Marketing Manager at Wanis. “Independent retailers have a much better capacity than supermarkets to offer a wide range of products tailored to the needs of local demographics and much quicker – especially when it comes to NPD. This is the reason why core ethnic shoppers still inevitably have to go to their local independent for a top-up shop, to meet their everyday World Food needs. There are huge opportunities, says Julian, to expose World Foods to a mass market. “This will be achieved and is already happening in some cases, by dual siting and then merging fast moving World Food ethnic SKUs, on mainstream grocery shelves, not hidden away in the World Foods aisle. The move towards premiumisation within World Foods will continue to grow, says Julian. “Research suggests that consumers who already shop World Foods are interested in new products, want more choice and are willing to pay more for high quality authentic World Foods. The World Foods category is still under-developed. There are still a large number of people who are daunted by scratch-cooking World Foods at home. If brands can help to demystify this, they can bring a huge number of new shoppers to the category and truly transition World Foods from niche and specialist to fully-integrated and mainstream. On-pack, online, and on-ground engagement are critical to demystifying the World Foods category for those that are new to it. Whilst some lines have already started reaching critical mass such as our Jollof and Jerk Seasoning, products like Tropical Sun Ackee, need more work. However, we are seeing an up-take of these kinds of products by such as vegans – who are looking for something different to cook which delivers on taste and their dietary and lifestyle needs. These consumers then become brand advocates –amplified via social media, blogs and vlogs. Symington’s Naked Rice range is also focused on delivering a convenient, authentic taste experience. The flavours have been selected to complement the existing Naked Noodle range, including Chicken Katsu Curry and Malaysian Chicken Curry, Vegetable Pho, Asian Chicken, Chilli Prawn and Pad Thai. They have also introduced microwavable Naked Soup pouches, made with delicious, fresh and authentic ingredients. 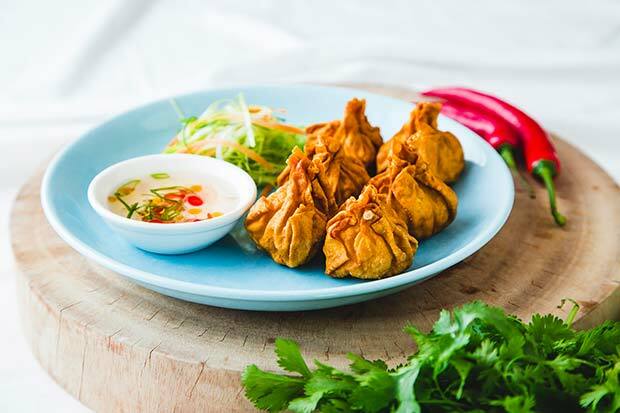 The pouches provide a convenient, substantial snack and are available in a range of flavours including Fragrant Thai Carrot and Vietnamese Fiery Beef Pho. Does Italian-American food count as world food? Whether you think it does or not, it’s a huge grocery market. Symington recently unveiled a distinctive contemporary new look and feel for their bestselling Italian American cooking sauce brand, Ragu, which has been completely rejuvenated with a new design, additional pouch pack format and four exciting new flavours to reflect trends in Italian American cooking – Staten Island Tomato Chorizo & Chilli Sauce, Manhattan Creamy Tomato & Vodka Sauce, Queens Meat Feast Ragu and Brooklyn ‘Nduja Red Sauce. Ragu also boasts enhanced nutritionals. There is no added sugar, two of the new flavour variations are one of your five a day and they are all gluten free and made with natural ingredients. Over the coming months the Ragu pouches’ packaging refresh will be extended to Symington’s Ragu jars. The Naked brand is worth over £15m, commanding a 43% market share of the authentic pots category. Naked Noodle is available in 10 authentic pan-Asian flavours including Thai Green Curry and Beef Pho. With preparation under five minutes, it’s an excellent choice for convenience-loving consumers who won’t compromise on authenticity. Symington’s have also reinvigorated the iconic Chicken Tonight brand with the launch of a range of ultraconvenient cooking sauce pouches with delicious, contemporary flavours to inject excitement into the big night in occasion. Drawing on restaurant favourites and the consumer demand for more exotic world flavours, the range includes Aromatic Moroccan Lemon & Herb, Hot & Spicy Jamaican Jerk, Fiery Salt & Pepper Chilli and Fragrant Coconut & Lime Leaf Curry flavours. Available in 250g pouches, the range showcases bold new black and yellow packaging, which is being introduced across the entire Chicken Tonight portfolio, to enhance stand out on shelf and appeal to new and existing customers alike. The range of pouches contains no added sugar, is gluten free and based on natural, authentic kitchen cupboard ingredients to create fresh flavours. Key selling times of the year have a positive impact on the category as the growth in popularity in world food and the increasingly mainstream effect of cultural celebrations like Diwali go hand in hand – what were unusual or curious flavours are now becoming mainstream choices. To help retailers – and therefore wholesalers – capitalise on these celebrations, says Debbie King, Cofresh create bespoke seasonal When It’s Gone It’s Gone’ lines specifically for Ramadan – when selected snack lines incorporate dates which are typically associated with this religious period, Diwali – a time of celebration when they offer their best-selling Chakri and Bombay Mix in bumper sharing packs, and Christmas, when cranberries and festive flavours feature prominently. The world foods snacks market is currently very buoyant, growing faster than any other savoury snack category. Overall it’s valued at £63m and enjoying 22% growth, with Indian snacks representing a 77% share and driving 90% of all world snacks growth. Continued consumer demand for new, authentic and bolder flavours, the rise of in-home socialising and our investment in the Cofresh brand all combine to help push the category forward, but greater consumer interest in healthier snacking is also having an impact. 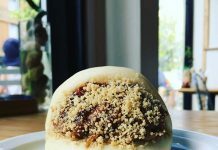 Plant Based Cooking – “2018 saw veganism become mainstream and in 2019 we will see more innovative plantbased dishes appearing on menus. 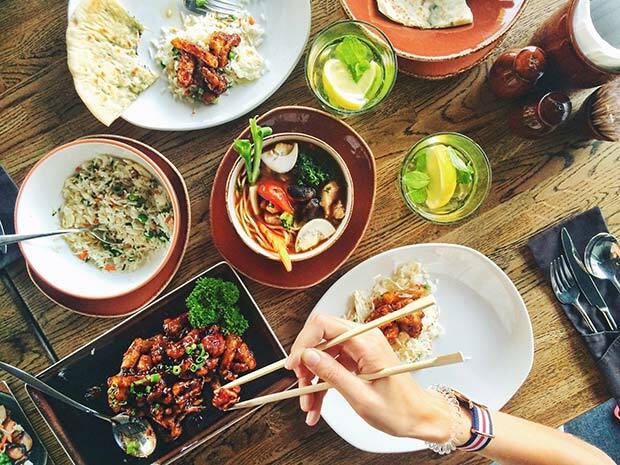 Asian cuisine lends itself perfectly to plant-based cooking and we expect to see it leading the way in using vegetables and plant proteins in new and exciting ways. Have you got wok it takes To become the next Oriental Young Chef?